Volkswagen remote car keys are one of the best car keys ever. They have the capability of performing splendid tasks such as activating the alarm and deactivating it, opening all doors and the trunk, activating the horn and the lights among others. However unexpected circumstance such as loss, damage and theft of Volkswagen car keys occurs leaving you stranded and locked outside. That should not worry you anymore. Getting a Volkswagen replacement remote car keys is currently very easy. Though you can still go to official Volkswagen dealers, this may turn out to be far more expensive especially if the dealer does not provide mobile services and their premises are far from you. Vendors, garages and other auto locksmith with specialty in the field of Volkswagen remote car keys are the best. Another option is to buy the remote key fob online and have it programmed for your car. The reason behind programming is your car has an inbuilt chip this is compatible with the Volkswagen chip on your key only. The key is programmed for your car only hence the new key cannot work unless it is programmed too. Replacing the remote key takes three master steps. Cutting the key blade to fit the doors and ignition and comfortably unlock them. Make the new key’s transponder chip recognizable by the inbuilt immobilizer. The immobilizer is the one that prevent ignition from the wrong keys through communication with the transponder in the key. The remote fob controls the locking system hence the need to sync it with that particular system. Whether for a keyless remote or a remote car key, both have to be programmed. All these can be done within a very short period of time by any remote keys specialist. 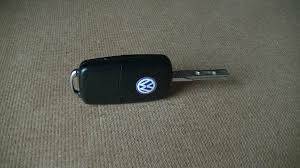 So next time your Volkswagen remote car key malfunctions, you don’t have to fear call us and Get a replacement.